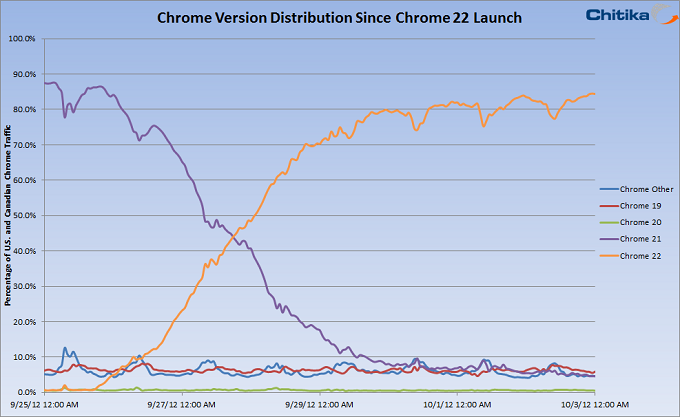 Within 24 hours of its debut, Chrome 22 usage peaked at 22%, matching its predecessor, Google 21, which Chitika points out was at 25% on opening day. In addition, as time progresses, more users have been switching over to Chrome 22 and while it peaked at 85% of all Chrome users, perhaps what’s interesting is that it took less time to achieve that rate than Chrome 21, which took 10 days to reach that level. Chitika’s research highlights that as more people move to Chrome 22, then less people are using older versions — this totally makes sense because as you can imagine, most people will probably want to use the latest version of the browser. It’s going to be interesting to see whether Chrome 22 will help Google reclaim more of its market share that it lost recently as it seems most of the other major browsers each saw an increase as the percentage of users between August and September. 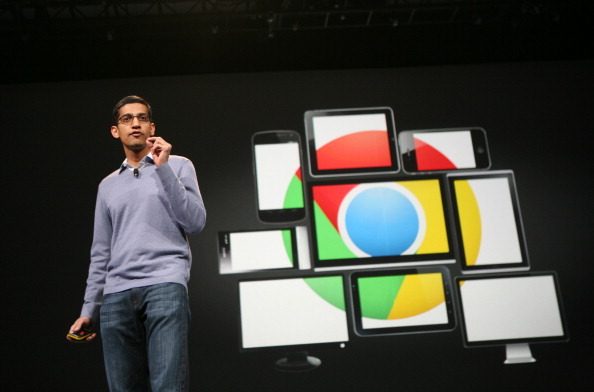 Are you using Chrome 22? What do you think of it?